Will you please help us stop this insanity? Please donate if able and please share our GoFundMe, thank you! Gloria Douglas is a grandmother who has lived in her beloved Wyngate Manor home for 31years. Gloria calls it her “forever-home” because she can’t imagine ever having to leave the home she’s lovingly cared for and lived in all these years. 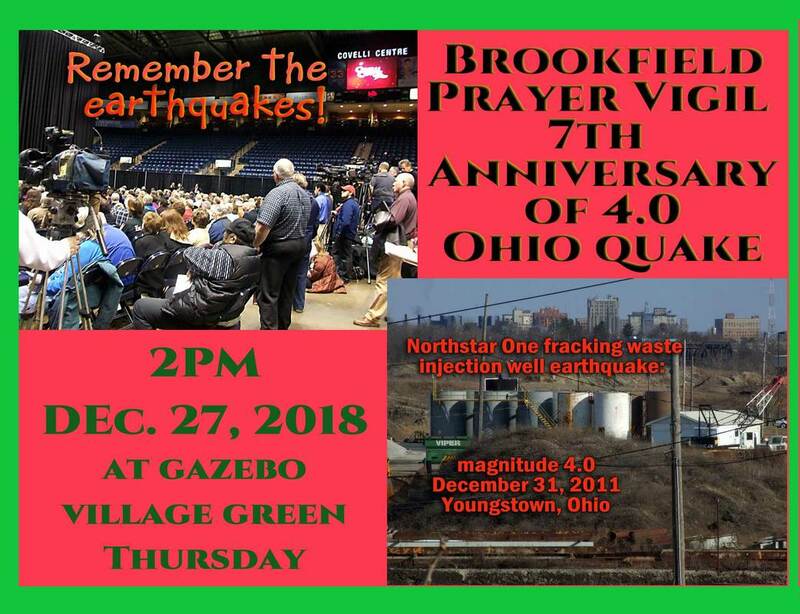 Prayer Vigil to be held Dec 27, 2018 Remembering 7th Anniversary of 4.0 Youngstown, Ohio Earthquake that was induced by human activity of fracking waste injection well normal operations - the well is STILL OPEN! Fracking waste injection wells proposed to be sited way too near family homes, businesses and government buildings: A heartfelt plea for help to lawfully stop them. January 18, 2018 -- Brookfield, Ohio residents and their allies strongly oppose the siting of five - yes five! 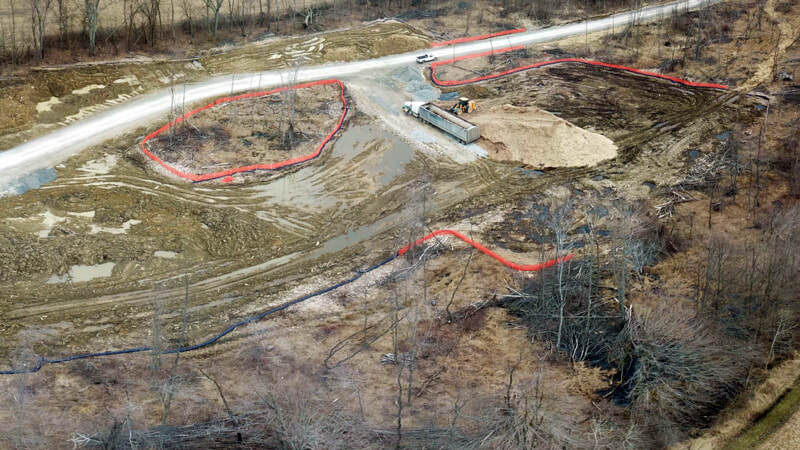 - proposed fracking waste injection wells in Brookfield, which is an area close to injection well-related, man-made earthquake epicenters, including a now-famous 4.0 magnitude quake in 2011 in Youngstown, Ohio. “Remembering the Earthquakes”: Supporters of Frackfree America National Coalition, based in Youngstown, Ohio, will attend a prayer service conducted by Reverend Monica Beasley-Martin to commemorate the upcoming sixth anniversary of the now-famous December 31, 2011 Youngstown, Ohio, 4.0 magnitude man-made earthquake linked to a fracking waste injection well. Supporters of Frackfree America National Coalition, (FANC) based in Youngstown, Ohio, will attend a prayer service conducted by Reverend Monica Beasley-Martin, of Defenders of the Earth Outreach Mission, to commemorate the upcoming sixth anniversary of the now-famous December 31, 2011 Youngstown, Ohio, 4.0 magnitude man-made earthquake linked to a fracking waste injection well. Due Christmas Day, Dec 25, 2017. For full consideration, all comments & objections must be received by ODNR (Ohio Department of Natural Resources), in writing (snail mail or email), by December 25, Christmas Day 2017, Monday. 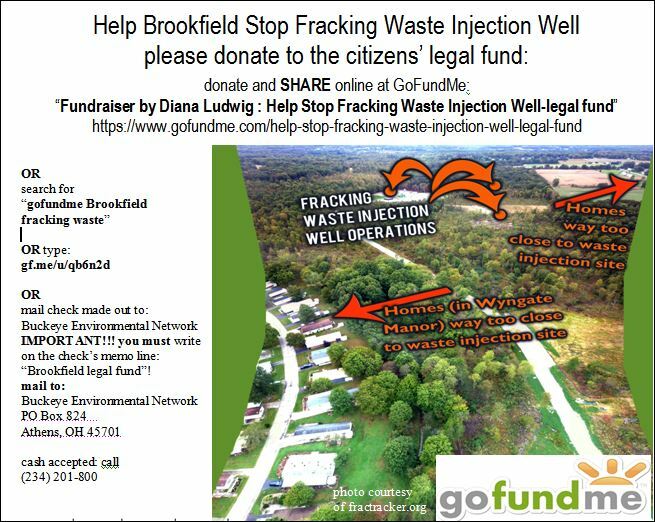 Groups will hold a public town hall–style, panel discussion meeting in Brookfield, Ohio about five proposed fracking waste injection wells planned to be sited in Brookfield way too near family homes, businesses, and government buildings. Concerned Brookfield citizens and groups will hold a town hall-style, panel discussion meeting on Thursday, November 30, 2017 at 7 PM to 9:30 PM at the Brookfield Fire Hall, at 774 State Route 7 NE, Brookfield, Ohio, 44403 to provide information and to let the community voice their concerns and suggestions regarding five proposed fracking waste injection wells. The wells are planned to be located in the Brookfield community in a highly populated area too close to known epicenters of man-made earthquake activity. The meeting is free and open to the public. Groups helping to coordinate the meeting are Frackfree America National Coalition, based in Youngstown (www.frackfreeamerica.org ), Buckeye Environmental Network (www.buckeyeenvironmentalnetwork.org ), and the Center for Health, Environment & Justice (www.CHEJ.org ). 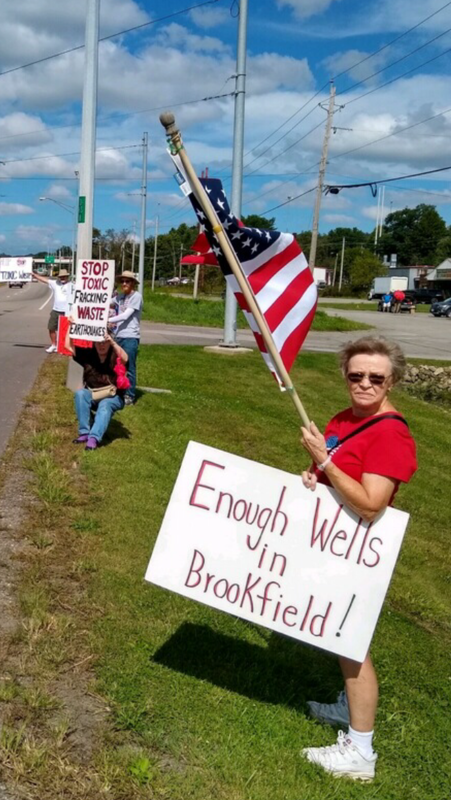 A really bad situation just got much worse, says groups: Out-of-state company applies for three more fracking waste injection wells in Brookfield, Ohio for a total of five potential injection wells in a highly populated, man-made earthquake-prone region. A citizen rally opposing the proposed injection wells will take place on the Brookfield village green on Thursday, October 12, 2017 starting at 5:45 PM to 7 PM. Groups say the Ohio Department of Natural Resources (ODNR) should immediately deny the three new permit applications and revoke the two drilling permits that ODNR had already issued because the proposed injection wells are an imminent danger to public health, safety, and welfare. “Remembering the Earthquakes”: Supporters of Frackfree America National Coalition, based in Youngstown, Ohio, will attend a prayer service conducted by Reverend Monica Beasley-Martin to commemorate the upcoming fifth anniversary of the now-famous December 31, 2011 Youngstown, Ohio, 4.0 magnitude earthquake linked to a fracking waste injection well. Concerned citizens will gather for the prayer on public property on Thursday, December 29, 2016, at 1:00 PM outside of the Coitsville Township Building at 3737 McCartney Road, Lowellville, Ohio. Youngstown, Ohio, December 28, 2016 – Supporters of Frackfree America National Coalition, (FANC) based in Youngstown, Ohio, will attend a prayer service conducted by Reverend Monica Beasley-Martin, of Defenders of the Earth Outreach Mission, to commemorate the upcoming fifth anniversary of the now-famous December 31, 2011 Youngstown, Ohio, 4.0 magnitude earthquake linked to a fracking waste injection well. 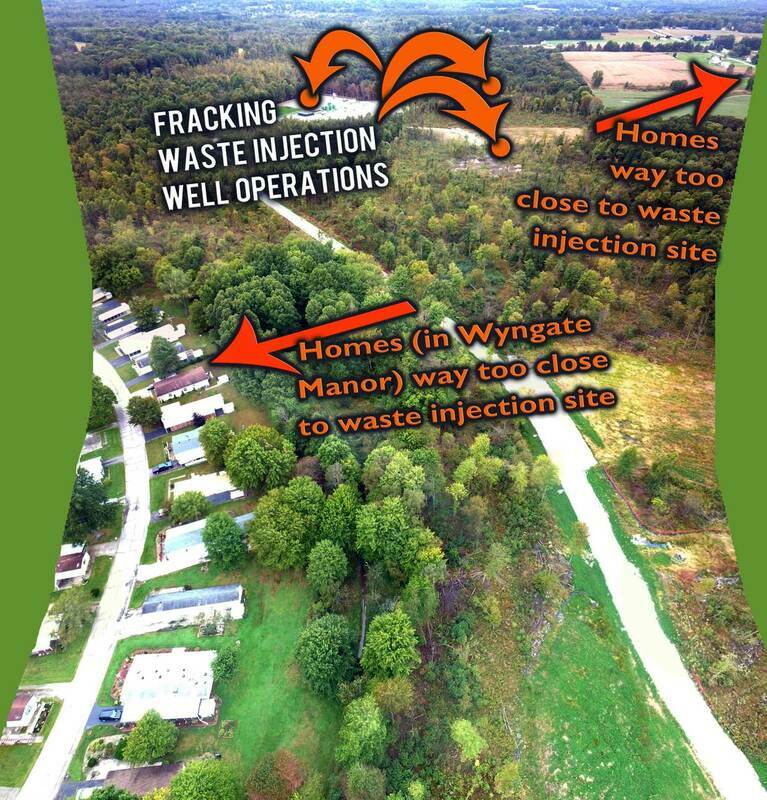 Frackfree Mahoning Valley (FMV) is calling for Ohio Governor John Kasich and ODNR Chief Simmers to immediately halt three fracking waste injection well sites near family homes, a “high hazard” dam, an airport, businesses, or schools. FMV says the injection wells are too close to areas of known seismic activity where man-made earthquakes have already occurred. FMV will hold a press conference on Friday, August 12, 2016, at 1:15 PM Eastern time, in Youngstown, Ohio, on the public sidewalk in front of Youngstown, Ohio City Hall at Boardman and Phelps Streets. Geology Professor, Dr. Ray Beiersdorfer, will speak about man-made earthquakes (induced seismicity) and fracking waste injection wells and answer any media questions. 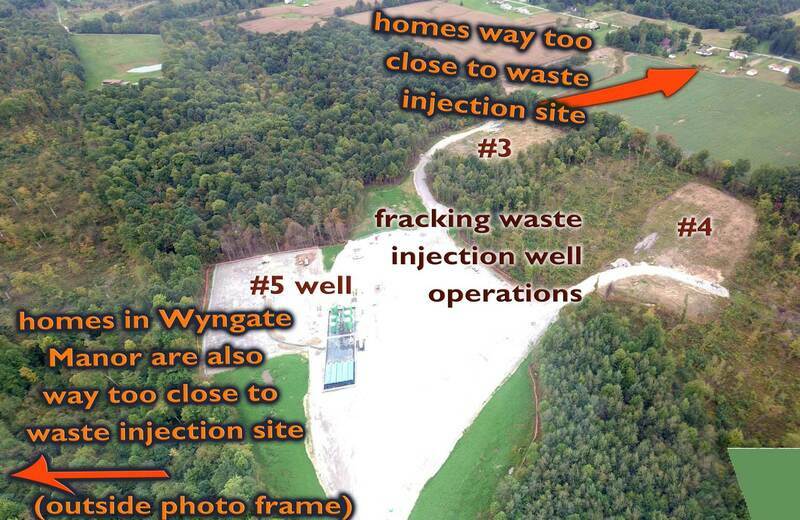 This injection well site is way too near a family home and an airport in Vienna, Ohio. This site is too close to areas of known, man-made injection well–related and fracking earthquakes in the region. Frackfree Mahoning Valley is calling for Ohio Governor John Kasich and ODNR Chief Simmers to protect the public health and safety of the Vienna and surrounding communities by immediately halting plans to allow what FMV believes to be ultrahazardous, heavy industrial injection well operations in this community that already has experienced an injection well-related spill in 2015. FMV says permitting injection at this site will increase the risk of induced seismicity. Earthquakes cannot be regulated, says FMV. Thank you & Congratulations to all who joined in the 2016 National Day of Action. Youngstown, Ohio, March 5, 2015 – Nationally renowned leader, 2003 Nobel Peace Prize nominee, environmental justice advocate, author, and speaker, Lois Gibbs, is coming to Youngstown, Ohio. 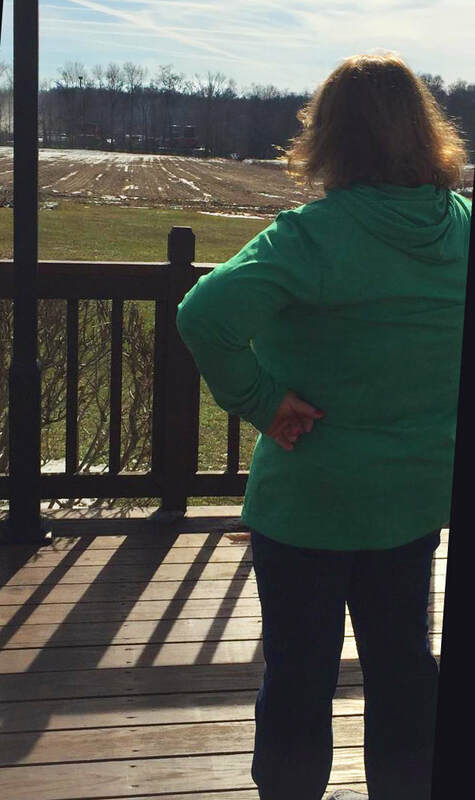 Lois Gibbs will be the keynote speaker at a Frackfree Mahoning Valley townhall-style meeting where citizen concerns related to man-made earthquakes, fracking waste injection wells, and drinking water will be the topic of lively discussion. Lois Gibbs led a heroic, historic, and successful effort to protect her family and community from toxic waste pollution at Love Canal, near Niagara Falls, New York, in 1978 to 1980. Lois Gibbs is an author, winner of the 1990 Goldman Environmental Prize, environmental justice advocate, and the subject of a movie about her life titled, “Lois Gibbs: The Love Canal Story.“ She has done local and national media interviews or appearances including with Oprah Winfrey and The Today Show. She has been called “The Mother of Superfund,” a federal program to clean up toxic waste. In the years 1978 to the early 1980s, Lois Gibbs’ efforts as leader of the Love Canal community, led to the evacuation of residents who did not know that their neighborhood and elementary school had been built upon or near a toxic industrial chemical waste dump. Under Gibbs’ leadership, the Love Canal crisis got the attention of President Jimmy Carter and other national and local officials. Through great effort, Gibbs was able to obtain evacuations for 833 Love Canal families affected by leaking toxic chemicals in their neighborhood. The story of Love Canal is an icon for what can happen when extensive industrial pollution and neglect invade a residential community, unbeknownst to the people. It also shows what can happen when public officials fail to protect the public health, safety, and public interest. The public townhall-style meeting will take place on Friday, March 13, 2015 at 7 PM to 9 PM at The First Unitarian Universalist Church of Youngstown, located at 1105 Elm St., Youngstown, Ohio. (Elm & Illinois.) It is free and open to the public. 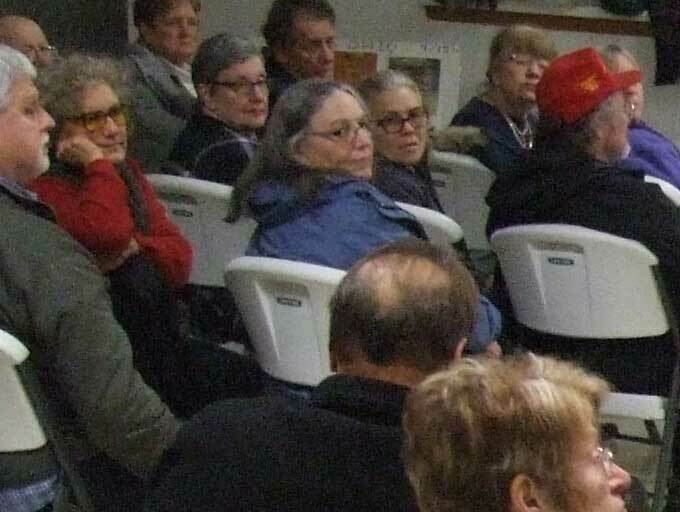 The meeting on February 5, 2015, had another full house w/ numerous calls for upholding constitutional rights to public health and safety as they are infringed upon by industrial injection wells in Trumbull County, Ohio. Further meetings have been planned. 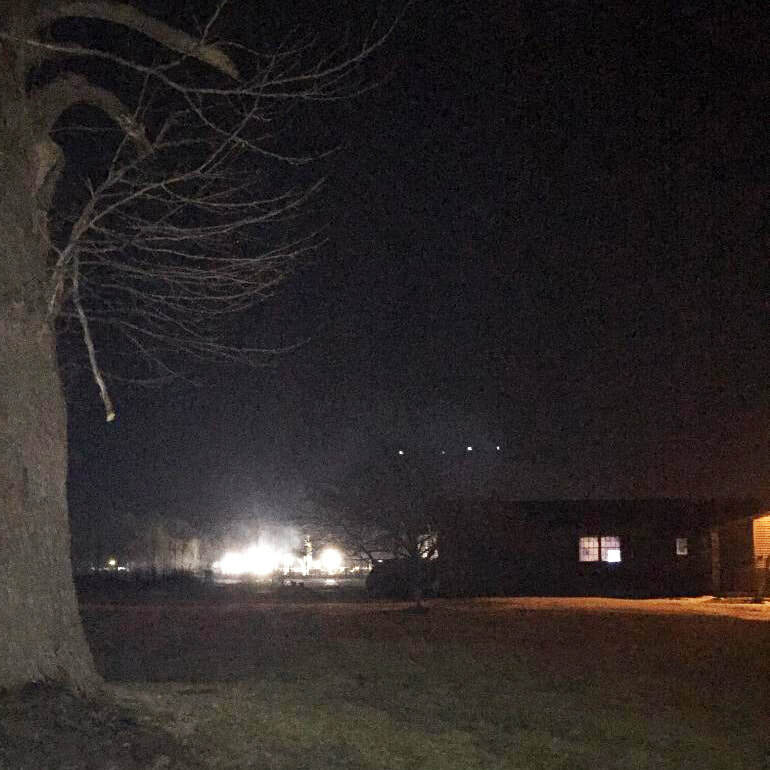 Youngstown, Ohio, January 8, 2014 - The Youngstown, Ohio area is a community that experienced what residents and scientists now know was at least 109 earthquakes in a place where there had been no previously recorded quakes. The multiple Youngstown earthquakes included the now-famous 4.0 magnitude 2011 fracking waste injection well – related quake. Concerned citizens of Frackfree America National Coalition, based in Youngstown, and Frackfree Mahoning Valley have been following events in earthquake-rocked Azle, Texas and earthquake swarms in Oklahoma, where some reputable scientists suspect that the largest quake, a 5.6 magnitude in Prague, Oklahoma, is linked to injection well operations. The local citizens’ groups are now reaching out to seek dialogue, share information, and to open channels of communication with the Azle, Texas community, with Oklahoma, with Ohio or other states with neighborhoods that may be experiencing similar situations involving injection wells and man-made earthquakes. The groups are seeking to work together with others to find real, fair solutions to our common problems and concerns, here in Youngstown, Ohio, and other places with apparently similar issues, like Azle, Texas. 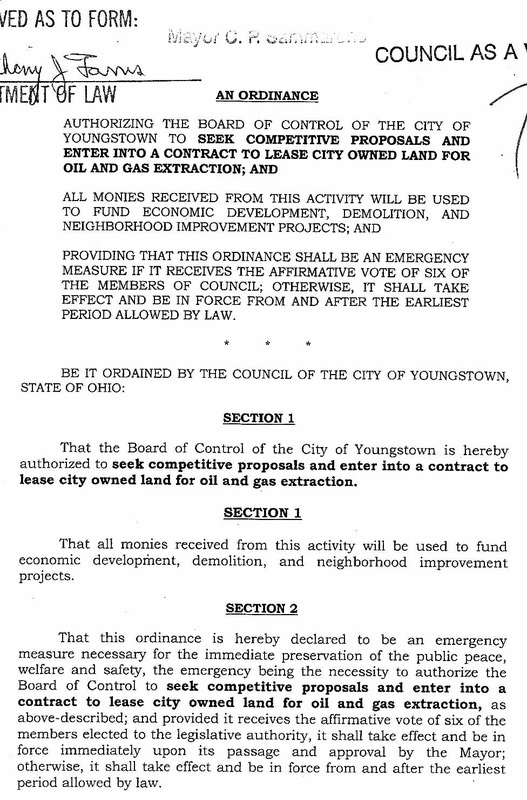 Youngstown, Ohio, December 27, 2013 – The Youngstown, Ohio Community Bill of Rights Committee said they would be back, and they already are. Post by Youngstown Community Bill of Rights-Vote YES on Nov 5. -- Toxic fracking waste injection wells? -- Private property or property value concerns? -- Protecting Mill Creek Park? Want to learn more about the Youngstown Community Bill of Rights Charter Amendment, your right to local self-governance, and what you can do to protect your community and your family? Please come to this ”open to the public” forum where we invite you to share your concerns, ask questions, or provide information and feedback – or, if you prefer, just listen and watch the brief informational films and important discussion to follow. Please come to The First Unitarian Universalist Church of Youngstown, located at 1105 Elm St., Youngstown, Ohio (Elm & Illinois) on Thursday, September 5, 2013 at 7 PM to 9 PM. Together we can find positive solutions to help our neighborhoods thrive. Please attend and bring a friend! Thanks in advance. Youngstown, Ohio, July 19, 2013 – They’re back and more determined than ever to win on election day in November 2013. The Youngstown, Ohio, Community Bill of Rights Committee is coordinating a new door-to-door campaign to get the required number of registered Youngstown voter signatures to put a question on the November ballot. The group says that a Yes vote on that ballot question would uphold Youngstown citizens’ fundamental rights to protect their family’s safe drinking water, clean air, and land, and to local self-governance. Hear Reverend Monica Beasley-Martin's powerful message delivered in this 10 min. video of the Sermon: Wake On The River ~ Resurrection Time! 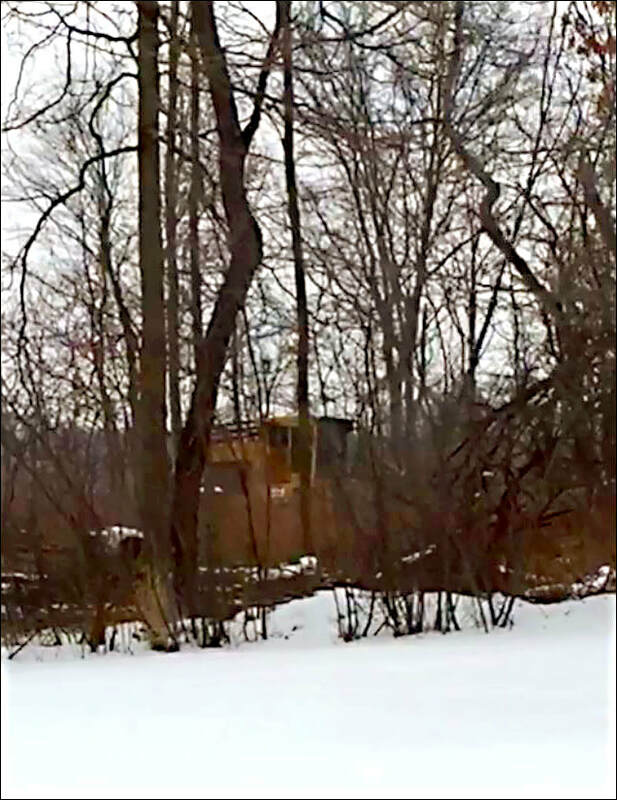 February 10, 2013, Youngstown, Ohio, 9 days after the revelation of fracking toxic waste being dumped in the Mahoning River, and a day *before* the revelation that dumping has been occurring for at least the previous five months. 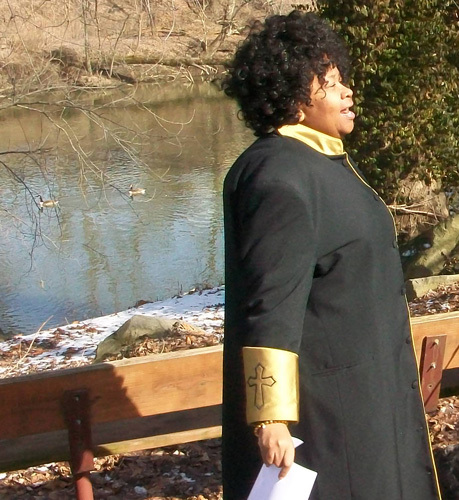 Reverend Monica Beasley-Martin delivering sermon on the banks of the Mahoning, Youngstown, Ohio, February 10, 2013. The Group Will Hold a 10 AM Rally On Saturday, January 26, 2013, To Kick Off The All-day Signing Event That Will Include Local Canvassers Going Door-to-door With A Local Control Petition Seeking Signatures Of Registered Voters And An Opportunity For Interested Voters to Sign The Petition at The First Unitarian Universalist Church of Youngstown on Saturday. Youngstown, Ohio-1/23/13 – Frackfree America National Coalition (based in Youngstown, Ohio www.frackfreeamerica.org ) anticipates that for many Youngstown residents who felt the now-famous fracking waste injection well-related 4.0 magnitude earthquake on Dec. 31, 2011 or who are concerned about protecting Mill Creek Park from fracking, the following rally will be a must-attend event. Youngstown, Ohio-1/2/13 - As the clock on the Frackfree America National Coalition website counts down to the big day – January 4, 2013 – the opening of Matt Damon’s and John Krasinski’s “Promised Land” in movie theaters nationwide, a group of concerned citizens of Frackfree America National Coalition who oppose fracking, along with local residents who were actually filmed as “Promised Land” extras, are planning to attend the 2 PM showing of the movie at the Regal Cinema South 10 theater at 7420 South Avenue in Boardman, Ohio, on Friday, January 4, 2012. (Detailed plans for Friday’s trip to the movies can be found on the homepage at: http://www.frackfreeamerica.org/promised-land.html ). Join the Youngstown, Ohio, convoy to Promised Land! The public is invited to please come to Youngstown, Ohio, on Friday, December 28, 2012, for an exciting rally and march to help raise public awareness of fracking and related processes. Are Cows The New Canaries? Nationwide, similar scenarios are playing out in real life where towns and cities assert their right to local control in determining how they want their communities to be. For many, that means preventing drilling rigs, fracking waste injection wells, or other gas and oil infrastructure from being placed near homes, children’s schools, under cemeteries, parks, or national forests – or anywhere. Indeed, in Youngstown, Ohio, a Community Bill of Rights initiative is now in the works. Concerned citizens have long insisted that fracking and related processes are a major threat to public health and safety. To emphasize that point, on December 28, 2012, at 12:30 PM-2 PM, Eastern, Frackfree America National Coalition (www.frackfreeamerica.org ) is sponsoring “March to the Promised Land Rally” in Youngstown, Ohio, beginning outside First Unitarian Universalist Church of Youngstown, 1105 Elm St. (Elm & Illinois.) (Movie will NOT be shown at rally). “Promised Land” movie extras will appear at the rally. Frackfree America encourages similar rallies nationwide. The event will assemble** near the First Unitarian Universalist Church of Youngstown (UUYO), 1105 Elm St. (Elm & Illinois), Youngstown, Ohio 44505, and other locations to be determined. Great speakers and Promised Land movie extras are scheduled to appear! The rally keynote speaker will be Douglas Shields, who is featured in Gasland filmmaker Josh Fox's film "The Sky is Pink" and is a former Pittsburgh, Pennsylvania City Council President, who in 2010 sponsored and secured the first ban of shale gas extraction drilling in the city of Pittsburgh. 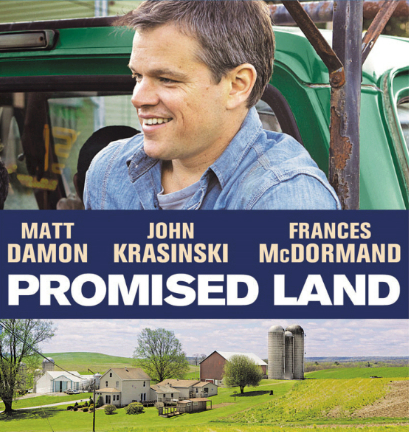 Matt Damon's and John Krasinski's new movie "Promised Land" will be opening soon on December 28 (select locations) and January 4 nationwide. The film posters have the conversation-starting tagline, "What's your price?..." 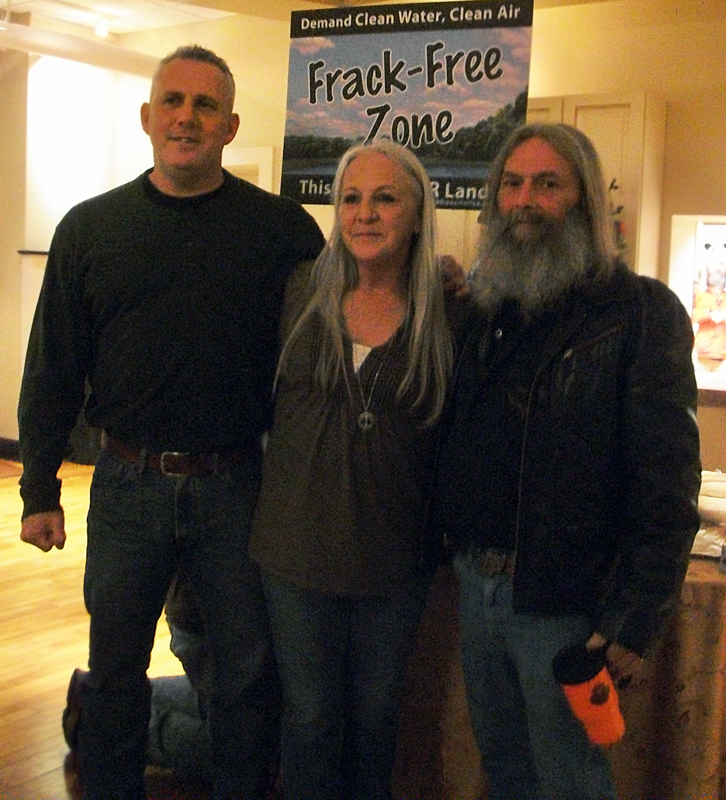 Frackfree America encourages everyone to see the movie, Promised Land, when it comes to a theater in your area. More exciting details will follow. Please keep checking back to the links below. (And / or subscribe to the free Frackfree America National Coalition listserv http://eepurl.com/oHOKr for more updates and other fracking-related information). Thanks! Please share and distribute widely. *Just to clarify: movie, Promised Land, will NOT be shown at this "March to the Promised Land Rally." 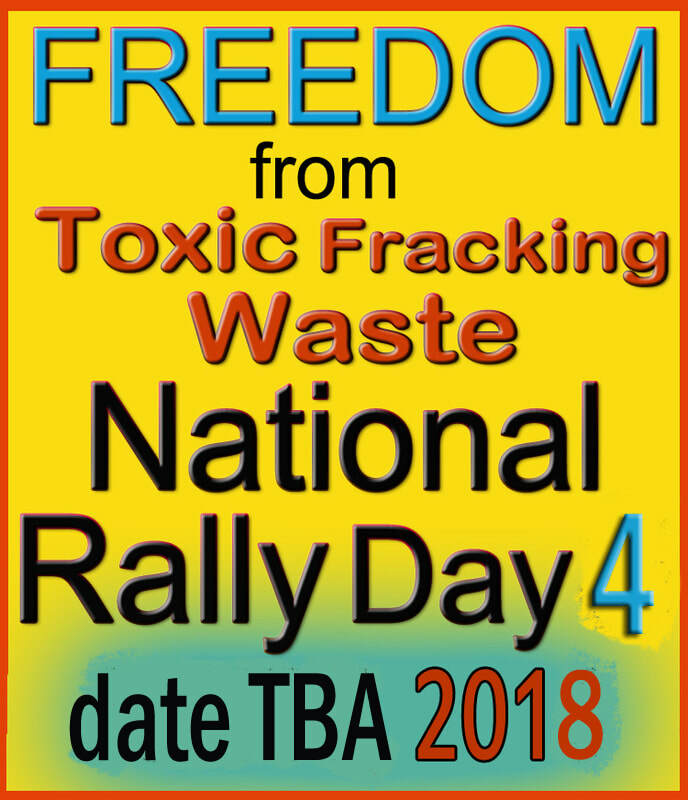 This rally/march, facilitated by Frackfree America National Coalition, is meant to encourage conversation, public awareness of fracking & related issues, & to encourage your attendance at the movie when it comes out in your local area. Here it is on FB: http://www.facebook.com/events/419501181455439/ Please FB SHARE / INVITE Guests as able ~ thank you! Urgent: Please Send Comments to EPA! Deadline Wednesday, December 19, 2012. 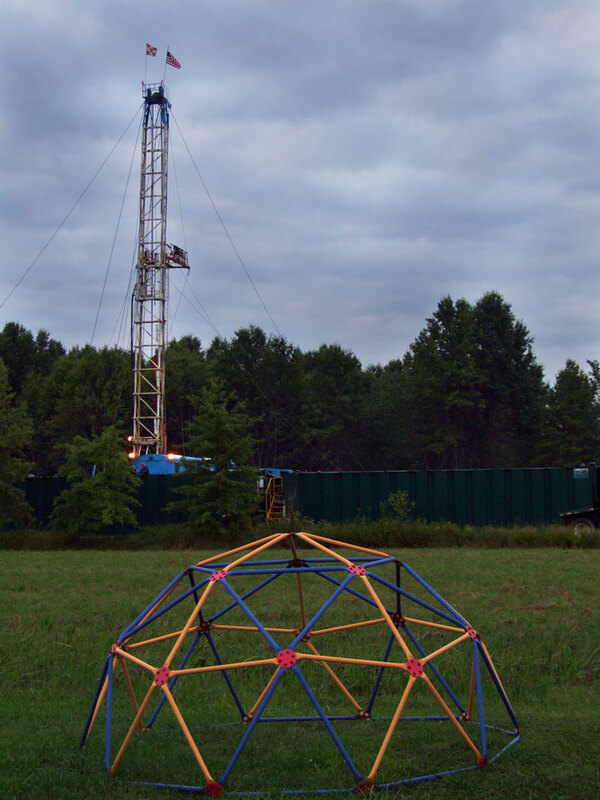 Seismic testing in Trumbull, Mahoning, and Portage Counties Ohio? WKBN TV - 27 First News: (Youngstown, Ohio) "Seismic Testing Could Be Coming to Area," November 26, 2012. "Vibrations blamed for court sewer leak," July 12, 2012. EXCERPT: "... intern with the court went to look for a file in ... basement storage room and discovered stacks of the court files had fallen over.... there was sewage all over the floor...The break allowed sewage flushed from the second-floor bathrooms to spill out onto the floor. File boxes on the floor also absorbed some of the sewage." "Seismic testing, lessons learned?" July 14, 2012. EXCERPT: "City engineers say they are also concerned culverts along the way may have been damaged. It appears more research should have been done into what impact the testing could have on local roads and buildings. Slight damage occurred in at least one local residence near Ohio 60..."
Youngstown, Ohio, 10/22/12 – Youngstown’s beautiful, historic Mill Creek Park is facing the threat of fracking and gas and oil drilling. 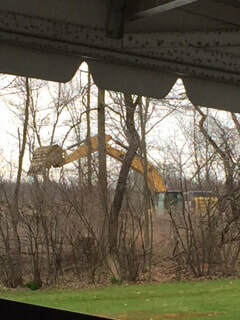 Park commissioners are having public meetings to gather information to help them decide whether or not to greenlight fracking in Mill Creek Park. Youngstown, Ohio - October 18, 2012. "Critics say that “fracking” – pumping water and chemicals into the ground to release oil and gas – is a risky business that can cause water contamination. But cash-strapped cities like Youngstown, Ohio, are contemplating selling mineral rights to allow energy companies to drill and frack. NBC’s Phil LeBeau reports." Critics say that “fracking” – pumping water and chemicals into the ground to release oil and gas – is a risky business that can cause water contamination. 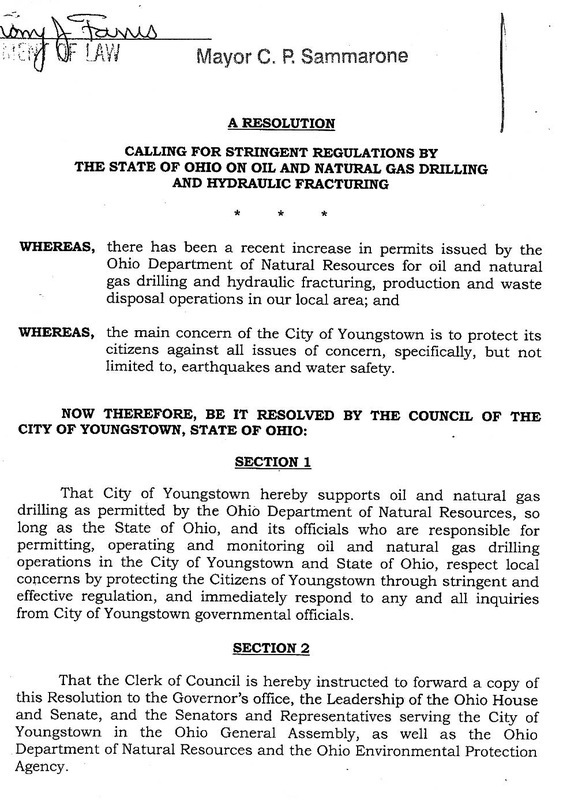 But cash-strapped cities like Youngstown, Ohio, are contemplating selling mineral rights to allow energy companies to drill and frack. NBC’s Phil LeBeau reports. 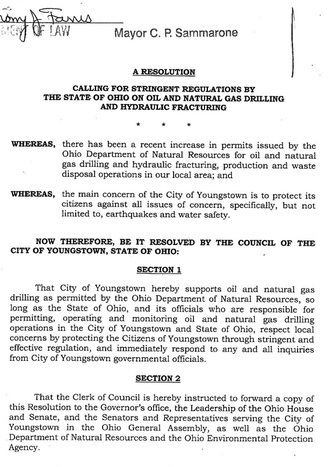 "City mulls controversial fracking to raise money"
First of all, thank you and kudos to the Youngstown, Ohio, City Council members who listened to their constituents, heard their concerns and did the right thing. 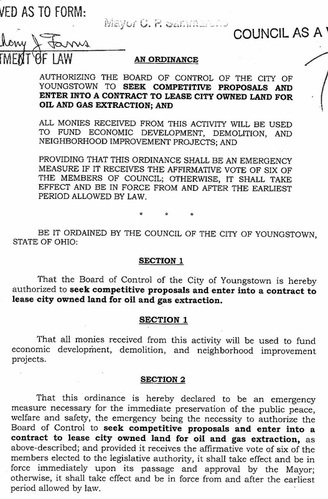 "That this ORDINANCE is hereby declared to be an emergency measure necessary for the immediate preservation of the public peace, welfare and safety, the emergency being the necessity to authorize the Board of Control to seek competitive proposals and enter into a contract to lease city-owned land for oil and gas extraction..."
"A RESOLUTION calling for stringent regulation by the state of Ohio on oil and natural gas drilling and hydraulic fracturing" "... so long as the [ODNR] respect local concerns by protecting the Citizens of Youngstown through stringent and effective regulation, and immediately respond to any and all inquiries from City of Youngstown governmental officials." Read first page of resolution HERE. “The mayor is asking city council to support a resolution urging the state to have ‘stringent regulations’ on fracking while also seeking council’s approval to sell the city’s mineral rights. 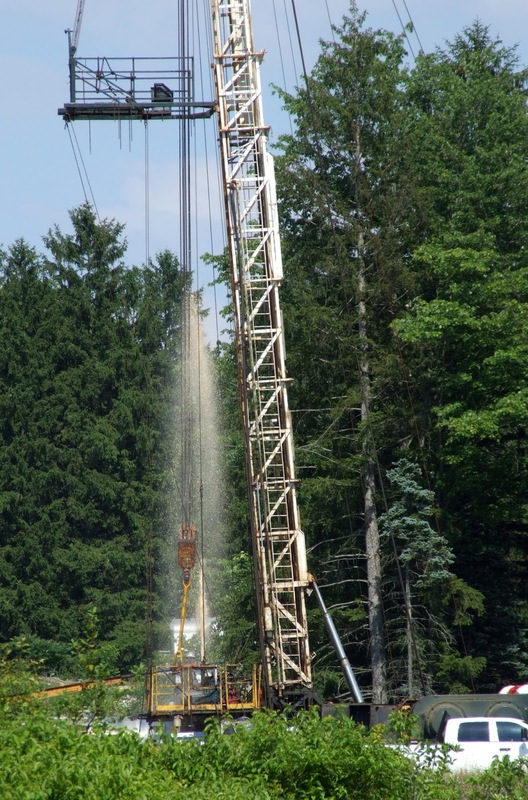 Frackfree Mahoning Valley says that the process is inherently unsafe, as indicated by a mounting number of scientific reports, news articles, and documents. to help protect Youngstown, Ohio! 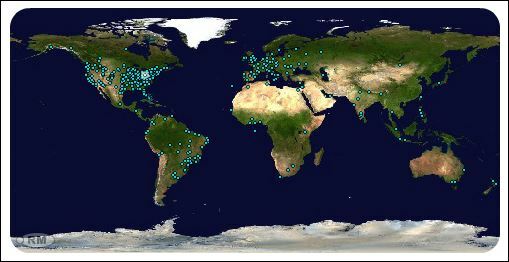 Welcome to the home of Frackfree America National Coalition based in Youngstown, Ohio - F.A.N.C.Y.